Naturally, Danny SEO stopped by Salt & Straw’s kitchens in Portland, Oregon to chat with head ice cream maker Tyler Malek about the company’s innovative, handmade ice cream. 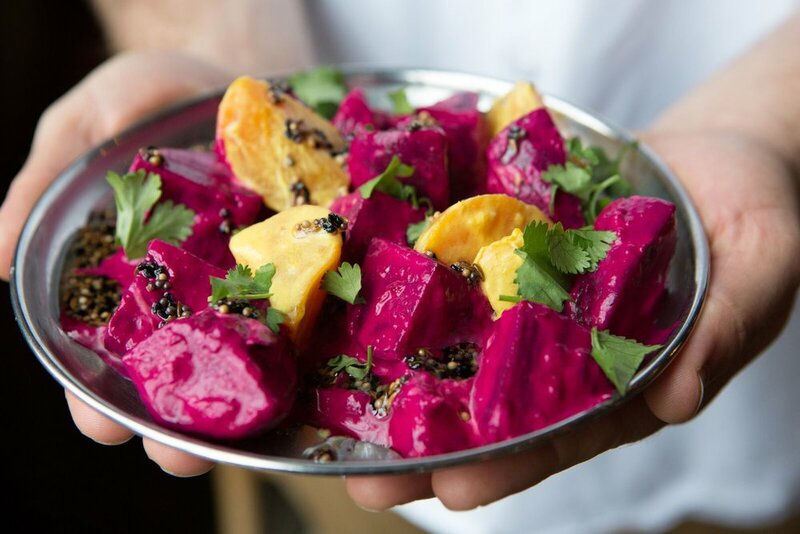 Ryan Carpenter is the founder and owner of Moberi in Portland, OR, which first opened in 2011 and has now expanded to four locations in the city. Portland Business Journal interviews Ryan about his company’s growth and continued evolution. 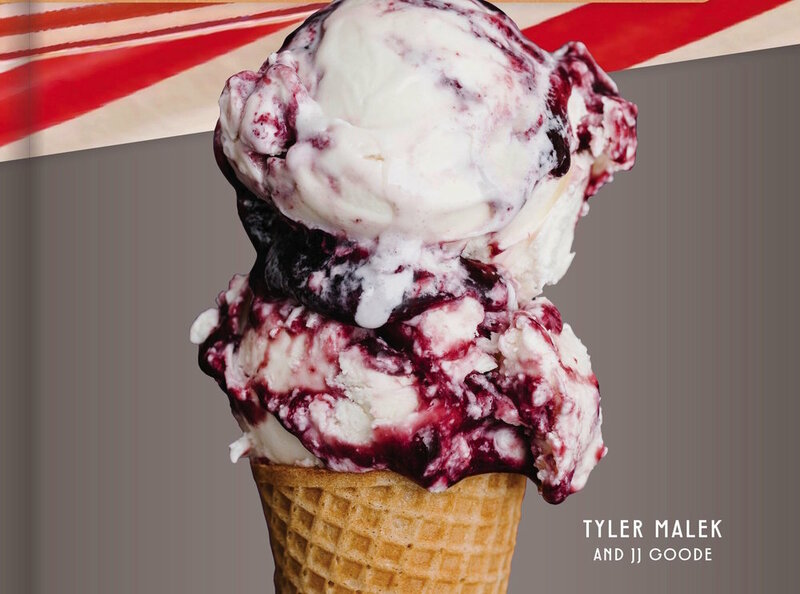 Matt Rodbard of TASTE podcast speaks with Kim and Tyler Malek about their upcoming debut cookbook, and how they continue to dream up hundreds of inventive ice cream flavors every year. Bon Appétit rounded up their staff’s favorite spring cookbooks, and Salt & Straw’s debut was among them. As big fans of the ice cream, the magazine staff is excited to make it in their own kitchens—both the classic flavors and those a bit more ambitious. Food & Wine magazine named Andrew Fortgang—Co-Owner and Wine Director of award-winning Le Pigeon and Canard, and Co-Owner of award-winning Little Bird Bistro—a 2019 Sommelier of the Year. Andrew earns praise for his depth of knowledge of classics (particularly in Burgundy and Riesling) as well as his enthusiasm for lesser-known discoveries. As part of Radio Cherry Bombe’s Future of Food Tour, they stopped in Portland for a live episode at The Nightwood Society to speak with notable Portland women in the food business, including Salt & Straw CEO and Co-Founder Kim Malek. Delish picks Salt & Straw as a most-anticipated 2019 cookbook, mentioning how fun the recipes are, and how they encourage home cooks to lean into their own creativity. Pre-order now! The cookbook is available April 30, 2019. Epicurious calls Salt & Straw the best ice cream there is, and picks its first-ever cookbook as a must-buy this spring, detailing how the recipe for the 5-minute base leads to nearly endless flavor combinations. Pre-order now! The cookbook is available April 30, 2019. Oregon Public Broadcasting (OPB) interviews Ryan and Elena Roadhouse about their art-led approach in creating the experience at award-winning Nodoguro. Watch the video for a closer look into how the omakase (chef’s choice) dinners not only tickle the taste buds, but also engage all of the senses. Salt & Straw's first cookbook debuts this April, and Portland Monthly magazine interviewed head ice cream maker, co-owner, and Cookbook co-author Tyler Malek about his inspiration behind the featured recipes. Peter Cat, the sought-after food-and-vinyl pop-up hidden inside Ryan and Elena Roadhouse’s critically acclaimed Nodoguro, is getting a permanent home, sharing the space with Tonari Café by day, which will serve health-forward Japanese foods in the traditional style of washoku. Peter Cat and Tonari will launch next door to Nodoguro on SE Belmont in late spring. Fast Company shares details about the beloved West Coast chain’s new dedication to adding more vegan flavors to its menu on a permanent basis. While the special vegan menu in January was something of a test run, beginning in February, 20% of all of Salt & Straw’s flavors will be entirely plant-based. Karen Brooks digs into the rise of sobriety among Portland’s top chefs, and how their commitment is setting the table for a new kitchen culture, featuring James Beard Award winning Chef Gabriel Rucker of Le Pigeon, Little Bird, and Canard. Kim Malek, co-founder of Salt & Straw, is now a member of Nation Restaurant News’ 2019 Power List! The annual NRN Power List is the definitive list of people setting foodservice trends today and shaping them for tomorrow. Since its 2011 founding in Portland, Ore. Salt & Straw has grown to 17 scoop shops across 6 cities, plus Wiz Bang Bar, a soft-serve shop also in Portland. Congratulations to Kim on this well-deserved honor. Tyler Malek, the founder of the gourmet artisanal ice cream shop Salt & Straw, and his team created five delicious holiday-inspired flavors that a grown-up Kevin McAllister would definitely use for a modern ice cream sundae: Peppermint bark cocoa, apple brandy and pecan pie, gingerbread cookie dough and sugar plum fairy -- made with plum jam and marzipan -- would be as delicious in a cup, cone or sundae any time this season. Salt & Straw’s Seasonal Pints Club is a monthly recurring delivery of Salt & Straw’s newest flavors delivered straight to your door. A perfect gift for the person who has everything, but doesn’t have 60 different flavors of ice cream! Half the fun of Bollywood Theater, one of Portland’s top Indian restaurants, is the space which transports you to India without the spendy plane ticket or 15-hour flight.